Do you wish you could enjoy Texas wildflowers all year long? 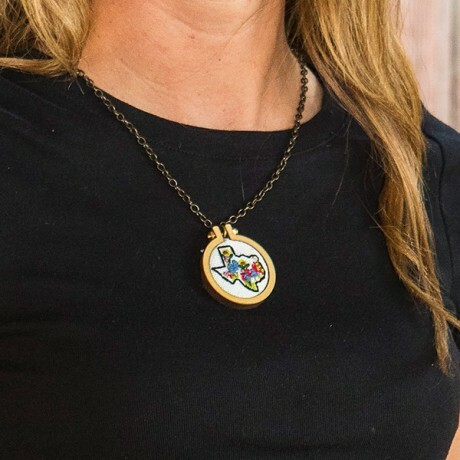 This precious necklace features hand stitched embroidery in a tiny wooden hoop. The hoop measures 1.6” across and hangs from a 24” chain. 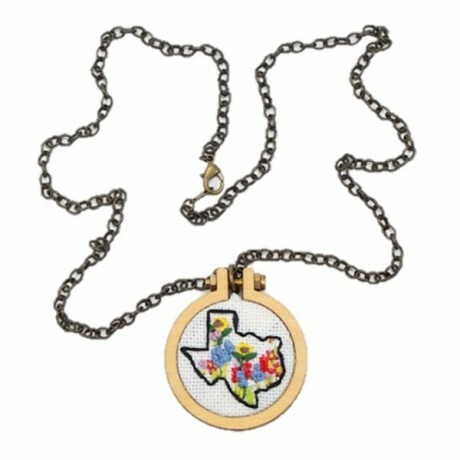 Handmade by Cinco Wildflowers located in Mission, TX. The back of each hoop has been stamped using non-transferable ink and arrives in a sealed bag with care instructions.